SOLD OUT – email sfg53@cornell.edu with subject “camp mushroom waitlist” to be placed on the list for cancellations, or another offering in 2015. Due to popular demand for Camp Mushroom (see below), which is SOLD OUT, we are offering an additional, one-day class which will cover the same cultivation methods as the original offering. Participants will be trained in three methods of mushroom cultivation; shiitake on bolts, lions mane/oyster on totems, and stropharia in woodchip beds. In addition, laying yard and management considerations and economics of growing mushrooms as a small farm enterprise will be covered. Anyone who wants to get into mushroom growing as a serious pursuit should not miss out on this opportunity to learn from experienced growers and researchers who will present for this event. 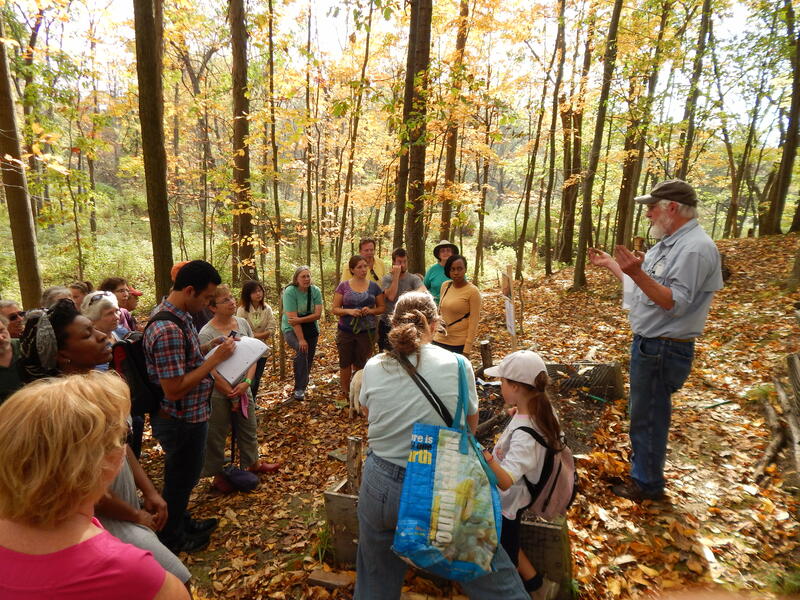 ITHACA, NY — Camp Mushroom is Cornell University’s annual two-day event for farmers, woodlot owners, and hobby growers who want to cultivate their own shiitake, oyster, lions mane, and stropharia mushrooms. 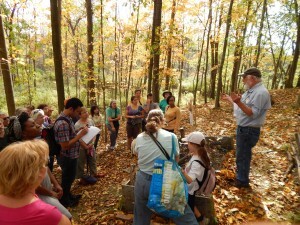 The workshop is a unique beginner/intermediate level workshop for those interested in small-scale forest mushroom cultivation. This year marks the 10th year of the course, as forest mushroom cultivation blossoms in the northeast as a new small farm industry. Research on active farms, facilitated by Cornell, University of Vermont, and Chatham University has found that growers are able to begin making a profit in year two. It is projected that a small 500-log operation could gross $9,000 over a five-year period. 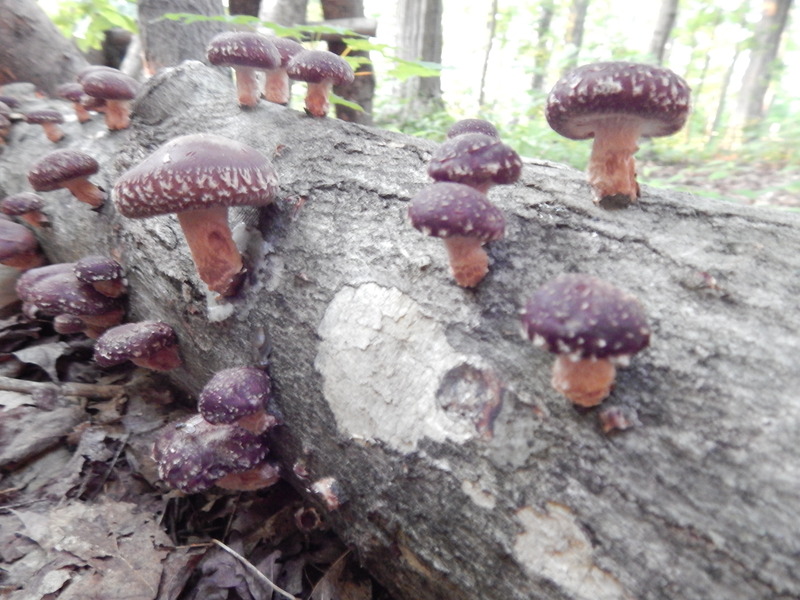 Shiitakes in particular provide a profitable method of diversifying farm income by utilizing the by-products of sound forest management. Freshly cut hardwood logs are inoculated and fruit annually for 4 – 5 growing seasons. Log-grown shiitakes enjoy strong demand and are higher in quality and value than mass-produced indoor-grown shiitakes. 89% of respondents in a 2014 survey indicated demand consistently exceeds supply in their region. Participants will be trained in three methods of mushroom cultivation; shiitake on bolts, lions mane/oyster on totems, and stropharia in woodchip beds. In addition, laying yard and management considerations will be covered. Each participant will also inoculate two shiitake blots to take home. Anyone who wants to get into mushroom growing as a serious pursuit should not miss out on this opportunity to learn from experienced growers and researchers who will present for this event. COST: $100 for overnight guests (primitive cabin with heat), $70 for commuters. Includes Friday dinner and breakfast and lunch on Saturday, featuring mushrooms and local, organic foods. SOLD OUT – email sfg53@cornell.edu with subject “camp mushroom waitlist” to be placed on the list for cancellations, or a second offering in 2015. How to Grow Shiitake Mushrooms from Developing Pictures on Vimeo.